Dr. Cory Todd graduated from the Ontario Veterinary College in 2012, after completing both his undergraduate and Masters degree in Biomedical Sciences at the University of Guelph. Before finding his passion for small animals, Dr. Cory worked as an equine veterinarian in the Peterborough region. Dr. Cory has worked at numerous busy small animal clinics the greater GTA as well as nearby emergency clinics. He enjoys all aspects of veterinary medicine, but has a special interest in small animal surgery, dentistry and internal medicine. Dr. Cory believes continuing education is an important aspect in advancing quality of medicine and services available for his clients. As such, he regularly reinvests into new equipment and developing new skills such as ultrasonography and orthopedic surgeries. In the Fall of 2016, Dr. Todd’s goal of ownership and management was fulfilled when presented with the opportunity by his mentor, Dr. Dunn, to continue at Streetsville Animal Hospital. He is enthusiastic to continue to provide exceptional level of honest veterinary care in a companionate and comfortable environment. Dr. Cory is grateful to work with a team that shares these high standards of values. 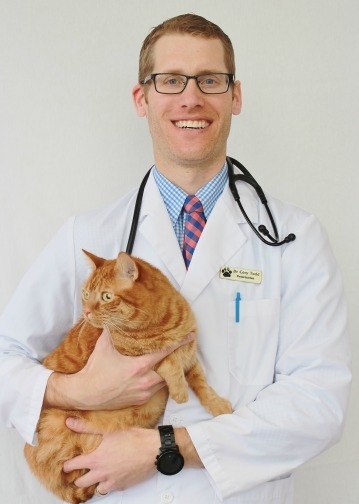 In his spare time, Dr. Cory enjoys spending time with his wife Jennifer, who’s also a veterinarian, their two twin girls and their rescue orange tabby cat, Hank. He likes to keep active and enjoys outdoor activities including camping, fishing, golf, skiing as well as playing hockey, and basketball. Dr. Emmanuelle Sellier graduated from the Ontario Veterinary College at the University of Guelph in 2005. Since graduation, Dr. Sellier has worked in the Mississauga, Oakville and Burlington areas, gaining experience in both small animal general and emergency medicine. Dr. Sellier enjoys all areas of veterinary medicine, with a special interest in small animal surgery, dentistry and internal medicine, including wellness and preventative care. She enjoys meeting each pet and their adopted humans, advising so that each pet has its own unique wellness needs met. Dr Sellier is committed to expanding and updating her knowledge in all fields. When not in the clinic, Dr Sellier can be found taking care of her two happy boxers Crosby and Angus, a sassy grey cat who goes by Juno, and spending time with her husband and two young children. She enjoys reading, baking treats with her toddlers, traveling, and hoping to soon get the kids on their first set of skis. We at SAH are happy to announce the addition of Dr. Georgieff to our team! Dr. Jenn Georgieff graduated from the Ontario Veterinary College in 2011, after completing undergraduate studies at Brock University in Health Sciences in 2007. 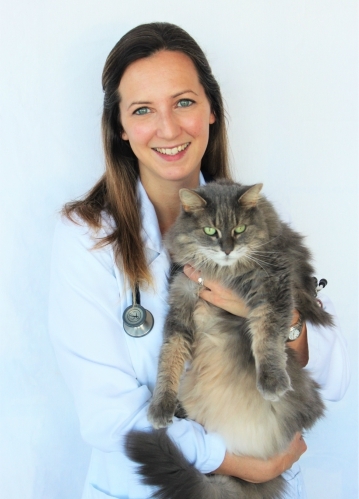 She has worked in Oakville since graduating from veterinary school and has special interest in internal medicine. While in the clinic Dr. Jenn has a special talent for making everyone around her comfortable, especially the patients in her care. Dr. Jenn is excited to be joining the Streetsville Animal Hospital team, and looks forward to working along side her husband, Dr. Cory! Dr. Jenn stays active by running after her twin toddlers at home who seem to have a never ending source of energy. Dr. Jenn Georgieff graduated from the Ontario Veterinary College in 2011, after completing undergraduate studies at Brock University in Health Sciences in 2007. 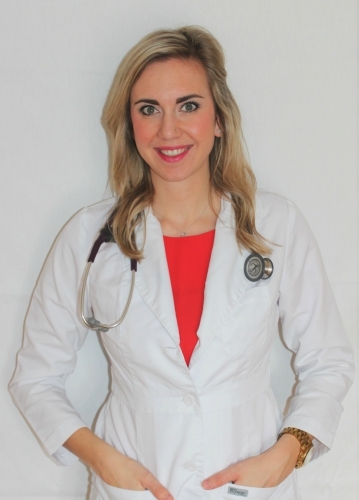 She has worked in Oakville since graduating from veterinary school and has special interest in internal medicine. While in the clinic Dr. Jenn has a special talent for making everyone around her comfortable, especially the patients in her care.